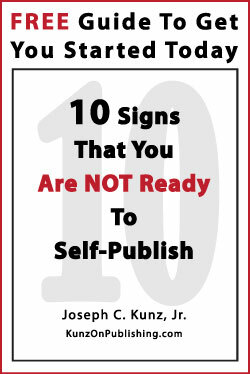 Posted on August 29, 2016 by Joseph C. Kunz, Jr.
Understanding the myths and misperceptions that many self-publishers have about the role of their book’s sell sheet can dramatically improve a book’s overall success. Having a well-prepared and professional-looking sell sheet for your book will go a long way to prove to the distributors, wholesalers, and bookstore retailers that you are serious about the success of your book. 1. 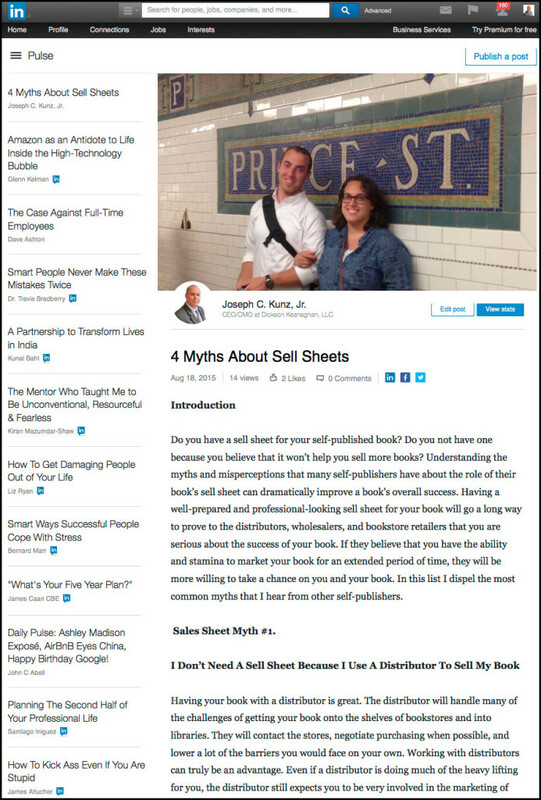 You will learn about the four biggest myths about sell sheets that can harm your book sales. 2. You will learn how these myths can keep your book hidden in obscurity, not helping anyone. 3. You will learn just how important a role the sell sheet can play in the success of your book. Do you have a sell sheet for your self-published book? Do you not have one because you believe that it won’t help you sell more books? Understanding the myths and misperceptions that many self-publishers have about the role of their book’s sell sheet can dramatically improve a book’s overall success. Having a well-prepared and professional-looking sell sheet for your book will go a long way to prove to the distributors, wholesalers, and bookstore retailers that you are serious about the success of your book. If they believe that you have the ability and stamina to market your book like a professional, and for an extended period of time, they will be much more willing to take a chance on you and your book. Having your book with a distributor is great. The distributor will handle many of the challenges of getting your book onto the shelves of bookstores and into libraries. They will contact the stores, negotiate purchasing when possible, and lower a lot of the barriers that you would face on your own. Working with distributors can truly be an advantage. Ok. You may not sell your book directly to consumers. Your book may only be available on Amazon. Or maybe your book is on Lightning Source, and they manage your sales and distribution to Amazon and to all other retailers. But if you have any hopes of selling more than a handful of books each month, you will need to start taking the marketing of your book more seriously. A sell sheet is not only read by retailers, wholesalers, and libraries. 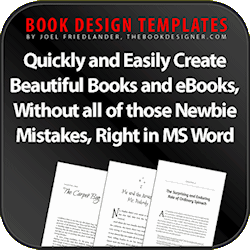 Consumers will also look at your book’s sell sheet to help them learn more about your book. Retailers and wholesalers need to see your sell sheet to help them decide if they want to carry your book or not. If they do accept your book, their sales team will use your sell sheet to help them sell your book. They will also need it when they are assembling their catalog. Library purchasing departments will need your book’s sell sheet to also help them decide if your book is appropriate for their patrons. For consumers, and your clients, you must put a PDF of your sell sheet on your website and in your media kit. Social networking and media websites are very useful, and they should play an important role in your marketing plan. But you should only choose two or three to focus your efforts on. But there is a big problem with relying too heavily on social media. You don’t own that space. However, you can control your own blog, your own website, and all of your marketing material. And a sell sheet is an integral part of your overall marketing material. A marketing plan, and marketing materials, and a media kit, are not complete without a sell sheet. So be smart, and own all of your marketing materials, and control where and how that material is used. No social media site can take that away from you – ever. Remember, one of the main reasons that you got into self-publishing in the first place was to control your own fate. Never forget that. I hope that by this stage of the game you know that this is not true. Creating a financially successful book takes a lot more than hoping-for-the-best to magically happen. 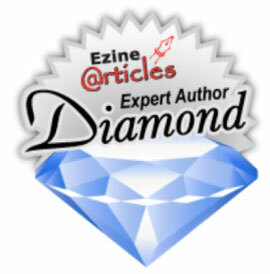 It would be great that your book is needed and desired by the reader. But there are some basic ways to attract the buyer and the reader. First of all, you must have a great book. Its content must be very easy to read and also provide great information that really helps the reader better their life and business. Its cover must also look amazing and be able to attract and hold their attention. These are fundamental rules. 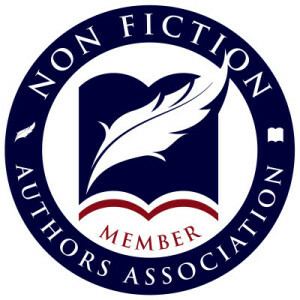 The next rule, though, is that you must remind people they need your book, or else you will be overlooked and forgotten. A sell sheet plays an important part of this process. It’s just that simple. You must understand that sell sheets are not just for selling. 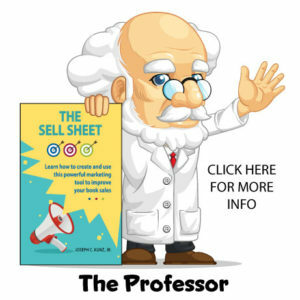 A sell sheet is just one part of your marketing plan. And like most marketing materials, it performs several marketing functions at the same time. And it’s not that difficult to create. So, don’t leave money on the table by not having a sell sheet. 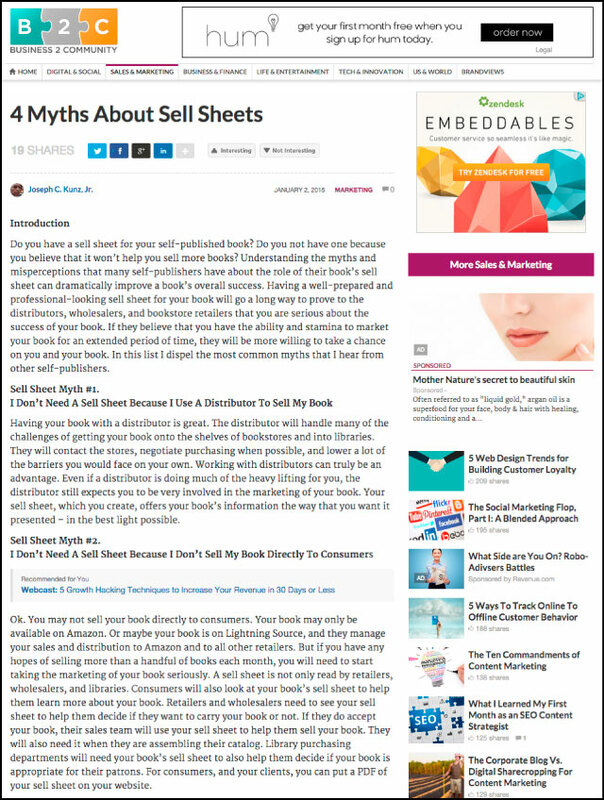 I hope this discussion helped dispel some of the myths and misperceptions about using a sell sheet. You must remember that a sell sheet can be used on its own, such as a hand-out, but it must be included in your book’s media kit. Together they form an integral part of your overall marketing plan. 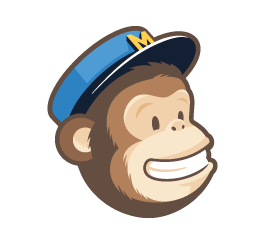 As a new self-publisher, you will quickly come to understand that you are also a marketer. 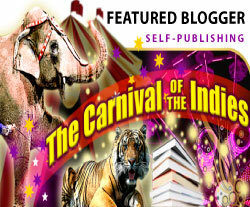 Self-publishing and marketing go hand-in-hand – especially if you have any hope of being successful at it. 1. Please share the ways you have used a sell sheet for your book? 2. Which myth do you, or did you, believe the most? This entry was posted in Book Marketing, Marketing, Media Kit, Podcast, Sell Sheet and tagged Book Marketing, Marketing Myths, Marketing Plan, Marketing Strategy, Media Kit, One Sheet, Podcast, Sell Sheet. Bookmark the permalink.